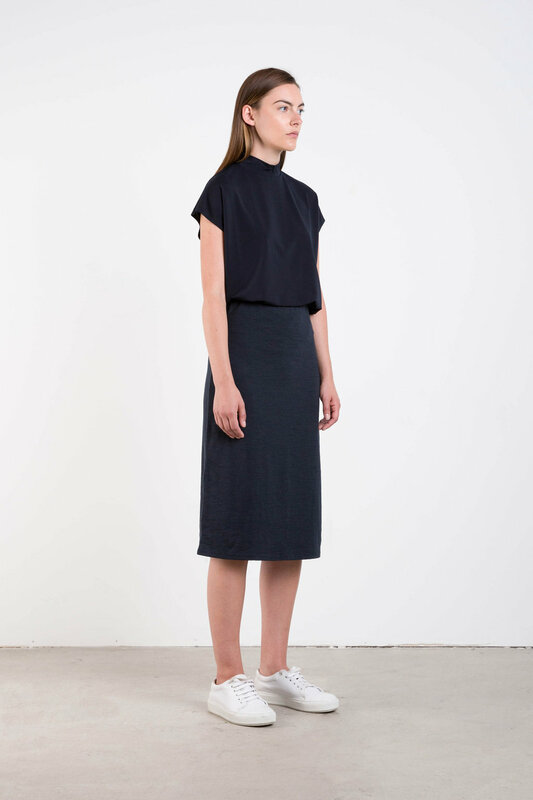 Heathered and lightweight, this cotton blend pencil skirt offers more comfort than most. 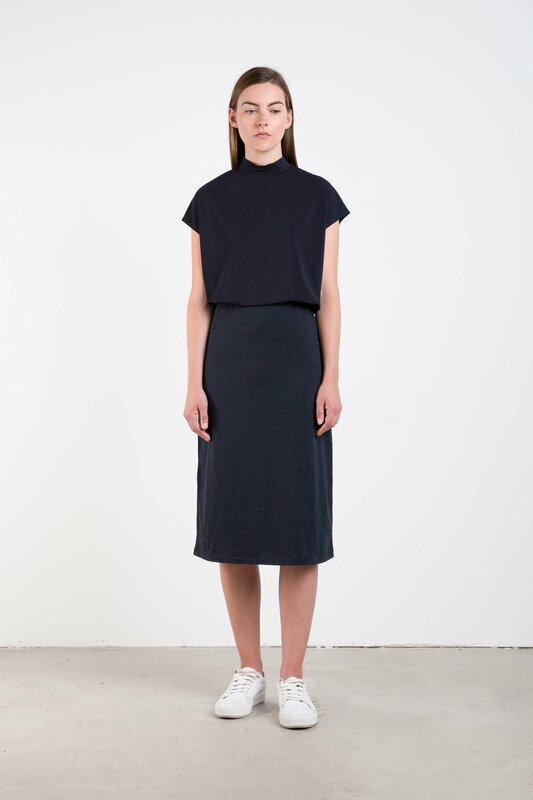 Designed with the warm summer and long evenings in mind, this piece was crafted to carry you effortlessly into the next season. 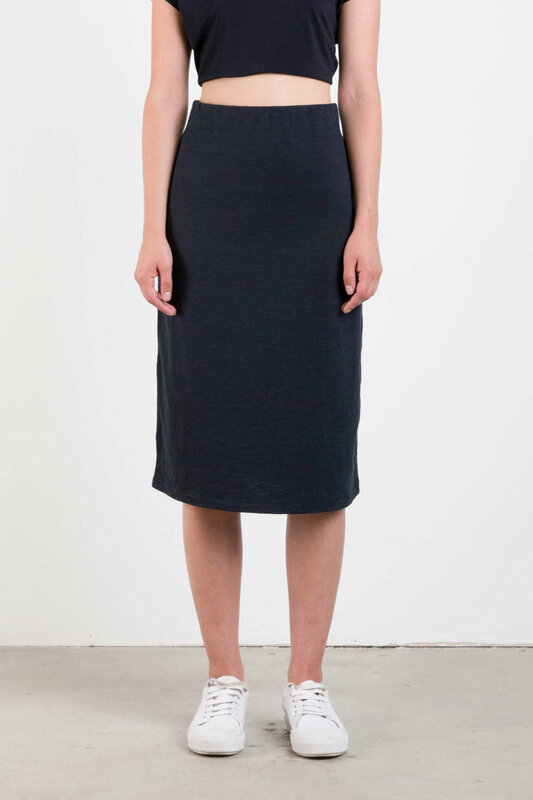 Exceptionally easy to dress up or down, pair this skirt with heels or sneakers. Fit: Fitted Approximate Measurements: XS: 25.5" waist x 27" length S: 27.5" waist x 27.75" length M: 29.5" waist x 28.5" length L: 31.5" waist x 29.25" length Model's height is 5'9". Model wears a size small.